HUGE PRICE REDUCTION! 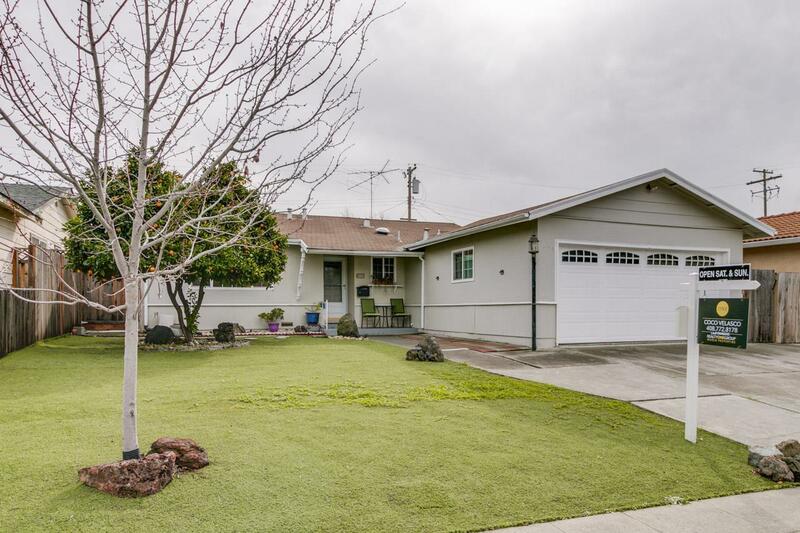 This tastefully upgraded 3 bedroom, 2 full bathroom home is totally move-in ready! It is fully upgraded with granite kitchen counter tops with matching tile back-splash, newer appliances, newer kitchen cabinets & newer bathroom fixtures. Light colored laminate floors are throughout living room, hallways and bedrooms; tile in kitchen and dining area. Both bathrooms are upgraded. Crown molding & recessed lights in living room, dining room & kitchen. Tube skylights in living room, kitchen, & hallway bathroom provide ample light without using electricity. All appliances, including washer and dryer are included in the sale. It also comes with a bonus room that is ideal for an office or a playroom. It has a sizeable backyard with persimmon and lemon trees. Artificial grass and orange tree in the front yard. Come visit to appreciate! This home is both modern and cozy at the same time.